Hello Kitty Fan? 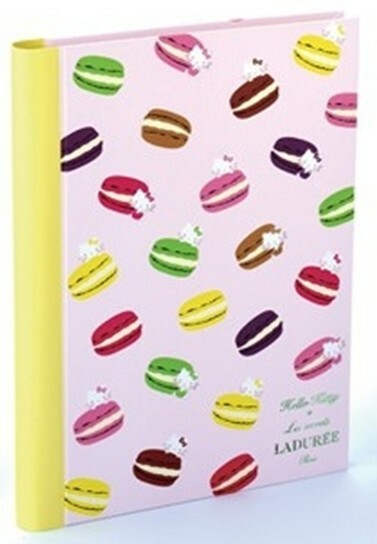 Laduree Fan? 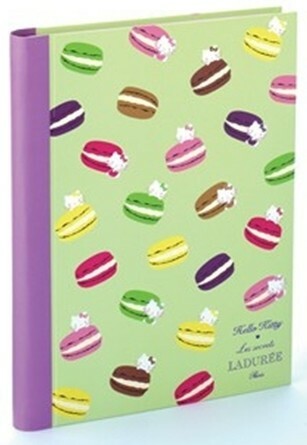 I received an email from Laduree announcing their Easter 2012 Collection. 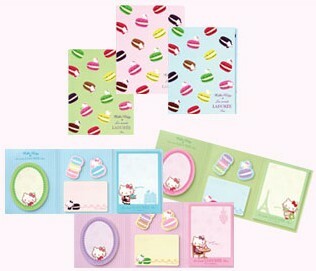 The email also mentioned there was a special Hello Kitty and Laduree collaboration. How sweet is that? Does one ever grow too old for Hello Kitty? I find Hello Kitty just as charming today as when I was younger. It was created by Pierre Herme. Remember I did a post about the makeup line (Les Merveilleuses de Ladurée)? Well I just found out the prices. Hold onto your bloomers! They can be purchased at imomoko.com. 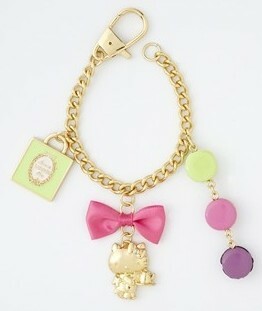 I have a friend that loves all things Hello Kitty, I'll have to show her these! 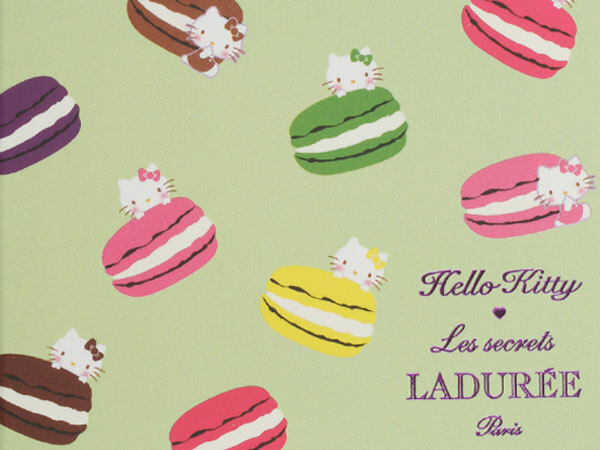 I must confess I'm not a huge Hello Kitty Fan, but of course I love Laduree so I'll take one of each, please :) This collection looks so adorable! 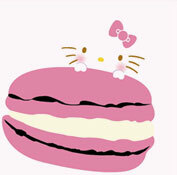 Hello Kitty + Macarons are an awesome combo! And I've never heard of Macaron Day - that really needs to get big down here! I used to love all things Hello Kitty when I was little. 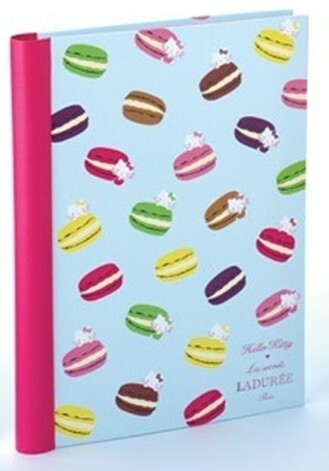 This is such a fun collaboration with Laduree! Oh, I was just talking yesterday to my hubby how hard it's to be an adult, and I totally understand because I wish I could rock the Hello Kitty ANYTHING but... but it's just not the same when you're married and in your almost 30's... I love it though, and it's great that they have such a cute collaboration! love it!! Viva Hello Kitty!! macarons are so pretty. i wish i liked them! Who can say no to Hello Kitty! This is too precious, love it! All those Hello Kitty stuff is so cute!! Thanks for your sweet comment dear! Pinch me! I must be dreaming! A Laduree and Hello Kitty collection sounds too good to be true. And we have a Laduree store - well, a concession in a store - right here in Dublin. Fingers crossed! 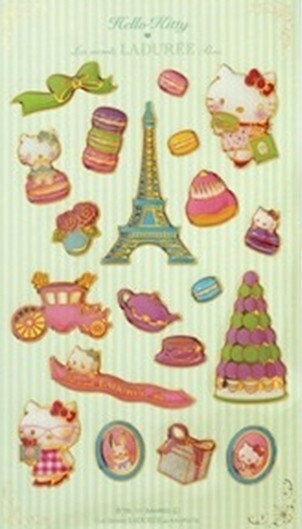 I soooo need these hello kitty macaron things! I love this pairing, it's perfection! Oh my these are too cute! Now I know where to go grab my darling daughter's party stuff! i did eat a lot of macaroons when working in the city. nope, we girls never grow out of hello kitty! what a yummy post, kim! hope you're well, and enjoy your day! How adorable is this! I love hello kitty anything. There is someone in my office who would love these--she's a huge Hello Kitty fan. I do like the charm bracelet...too cute! Wasn't macaroon day where I live...or at least nobody mentioned it. How did I not know of macaron day? It's a sin! I think I need to grab some after work. It's only fair right? wow..a macaron day?never heard of it..the the colab seems so cute! I have the same frustrations! Adorable collaboration! 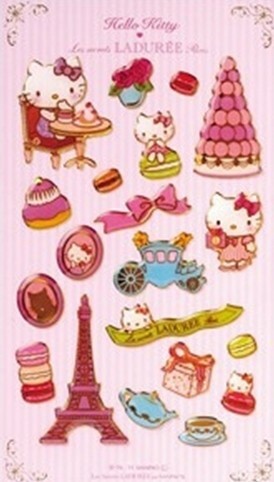 Hello Kitty and macaroons.....absolutely cute overload! Glad to have found your lovely blog and am now following you! 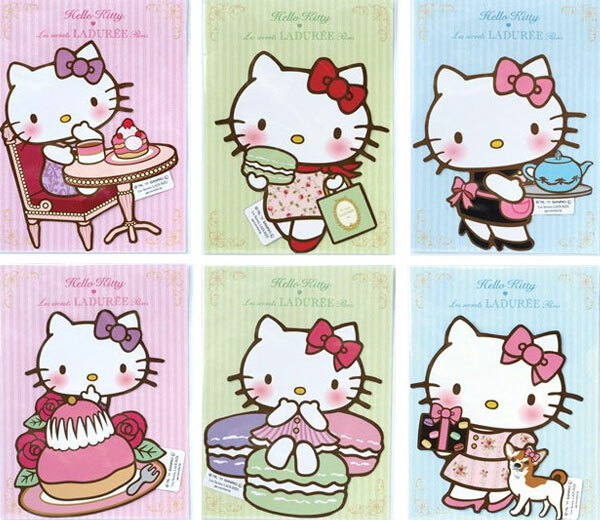 I love the hello kitty collection, so adorable! Always a Hello Kitty fan since I was a little tiny tot. Such a cute cute collections and yummy goodies too! I am a huge hello kitty girl and I love these! I want it all I seriously can't get over how perfect this stuff is. The Hello Kitty collection is adorable! so cute! love hello kitty so much!! 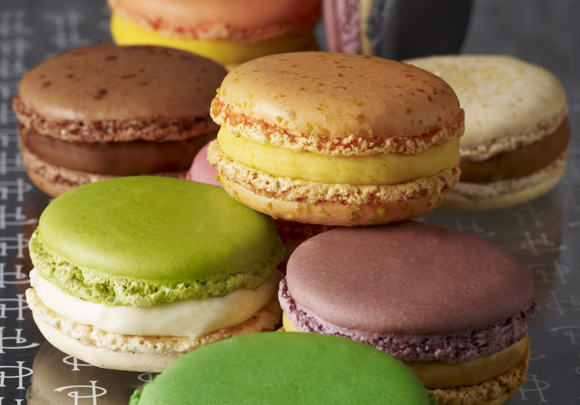 i've never tried macaroons but have heard so many great things about them! so want to try them! how cute! I am a closet Hello Kitty fan. Laura from the blog of worldly delights will like these. I like Macaroons too, they always have candy colors. Hello Kitty macarons!! I'd better not show this to Lil L. She will flip over these and I'll hear no end of it. oh my gosh. You KNOW I just died and went to heaven, right? This is like a dream come true! I want that bag charm desperately! I love hello kitty - always and forever LOL!! macarons are soooo yummy! and my little girls LOVE hello kitty!!! These little Hello Kitties are so cute! I wish I liked macaroons, they look so festive! 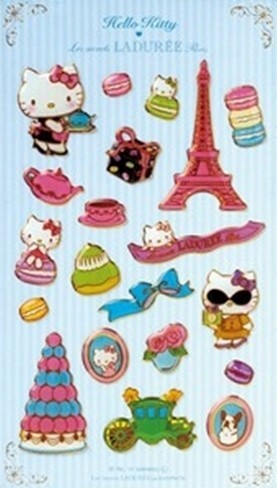 I want a bathroom filled with boxes of hello kitty macaroons and chocolate plus the biggest bubble bath ever! Really enjoyed this post! I was looking for Hello Kitty when I found your site... thanks for this post. Even though this was done in March. It was cool to find these items. Now, to see if they are still available. Also, I found this site devoted to hello kitty called MyFavoriteKitty have you heard of it?